flashdrive on my Andriod device? 64GB of extra storage instantly”. 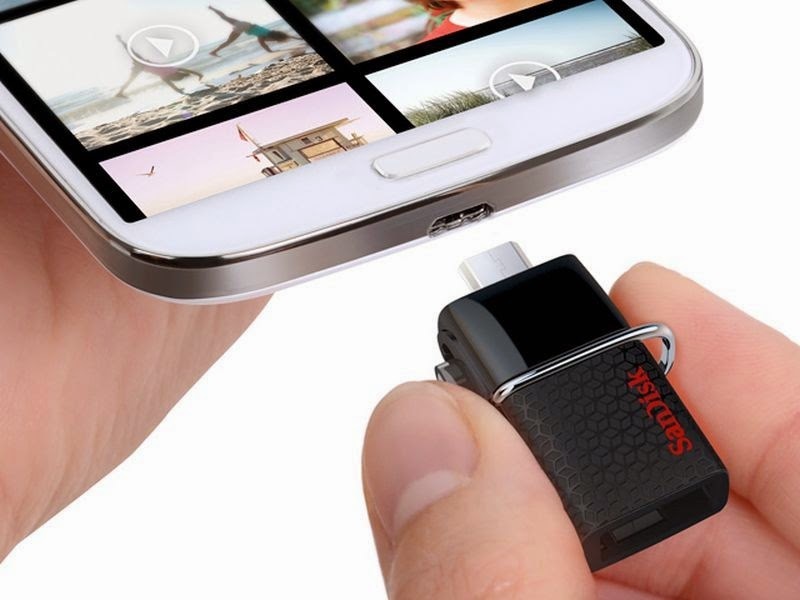 this new Sandisk flash drives. I can't just wait to lay my hand on this. Where can we get one? Prof pls does infinix x502 support OTG? I have one Silicon power USB OTG. Lovely accessory, I download movies on my s4 then copy to it. Connect it to my TV nd watch, sometimes I backup pics to free my phone….. We all need at least one. Beware of fakes oo. Yomiprof big ups wishing you success this year. Morning, please the camera of my infinix zero has stopped working, what can I do to it, at first it was the back camera, but now, it's both. It shows blank when I go to camera, like hanging. Try booting into Recovery Mode and wiping the system cache partition. This is different from wiping an individual app cache, and won't erase any personal data. Thanks sir, but how will I boot into recovery mode so as to wipe the system cache partition. ==> Hold down the Power key and select Power off. If the touchscreen is unresponsive then you can simply keep holding down the Power key for several seconds until the device turns off. ==> Press and hold the Power key and the Volume down key. You should see the Android mascot on his back, a bunch of information about your device, and Start at the top right of the screen. ==> To navigate through the menu options you use the Volume up and Volume down keys. The Power key is used to make a selection. Press Volume down twice and you should see Recovery mode in red up at the top right, press the Power key to select it. ==> The white Google logo will pop up followed by the Android mascot on his back again with the words No command underneath. ==> Press and hold the Power key and the Volume up key for around three seconds and then let go of the Volume up key, but keep pressing Power. You should see the Android system recovery options pop up at the top of the screen. Use the Volume keys to highlight the options and the Power key to select the one you want. Once it boot into recovery, you'll see different recovery option but go straight to "Wipe cache partition:"
Does this device supports tecno f7 (phanthom A+)? Android 7.0 Has Started Rolling Out, Is Your Device Eligible to Receive The Update?